The Gujarat MBBS Admission 2018 will be organized by the Admission Committee for Professional Medical Educational Courses (ACPMEC). The admission of the candidates for Gujarat MBBS will be on the basis of merit in the NEET 2018. From all the government MBBS colleges, 15% seats are reserved for All India Quota seats which will be filled through online NEET counselling conducted by Medical Counselling Committee (MCC) and all the remaining 85% state quota seats will be granted through counselling conducted by the Admission Committee, i.e., ACPMEC. The candidates will be called for Gujarat MBBS Admission, as per the NEET scores. Interested aspirants need to fill the application form in online mode at. The application form is available after the declaration of NEET 2018 Result. Before registration, candidates are required to purchase the PIN. Only after purchasing the PIN Number, candidates can register for Gujarat MBBS Admission and appear for document verification. The Admission Committee will publish a merit list for those candidates who qualify the NEET 2018 and submits their application for Gujarat MBBS admission 2018 before the last date. On the basis of the merit, the candidates will be called for the counselling. Check here complete details about Gujarat MBBS Admission 2018 in the article below. Latest: List of Students data provided to bank for fee refund Amount will be credited has been released, scroll down to check the same. Candidates who want to appear for Gujarat MBBS Admission 2018 must be well aware of all the important dates. Since NEET 2018 is yet to be conducted, the schedule for Gujarat MBBS ADmission for the academic year 2018 is not yet announced. However, candidates can check here the expected date for commencement of various events of the Gujarat MBBS 2018 Admission. The Mock round choice filling and display of choices filled by candidates are over. The conducting body is now out with the Mock round result. It is available on the official website and in the link given below. The candidates are advised to go through it. The conducting body has also released the list of candidates selected for Smt. NHL Municipal Medical College and Surat Municipal Medical College. 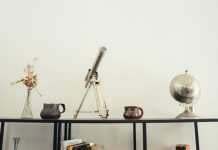 Scroll to have access to each link. Click here to check Below List of Students data provided to bank for fee refund Amount will be credited on or before 20-Oct-2018. Click here for fee refund Only for Medical And Dental admitted students Or those who paid their tuition fee but their domicile rejected. Click here to check Fee Refund for Admission year 2018-19 [M.B.B.S Admitted Only]. Click here to check the Institute wise allotment list. Click here to check the merit number wise allotment list. Click here to check the Institute wise last rank list. Click here to check the Instructions for Submission of Original Documents after Allotment of Admission of 4th Round. Click here to check the date wise candidates admitted B.D.S Mop-Up Round. Click here to check Third Round Non-Reported and Cancel Candidate. need to verify their domicile certificate in any Phase. Click Here to check the Instructions for Submission of Original Documents after Allotment of Admission of 3rd round. Click here to check Notice Regarding Cancellation at Help Center During Mop-UP Round. Click here to check the Date wise and Institute wise Admission of Student List (ACPUGMEC). Click here to check the Mop-UP Round Consent Candidate List. Click here to check the List of the students, whose ‘Domicile Certificate’ rejected by ‘Domicile Certificate Verification Committee’ in Phase-II on August 10, 2018. Click here to check the List of the students, whose ‘Domicile Certificate’ rejected by ‘Domicile Certificate Verification Committee’ in Phase-II on August 09, 2018. Click here to check the List of the students, whose ‘Domicile Certificate’ rejected by ‘Domicile Certificate Verification Committee’ in Phase-II on August 07, 2018. Click here to check Instructions for Submission of Original Documents after Allotment of Admission of 2nd Round. Click here to check the last merit list of First round. Click here to check the list of tentative available seats for Round-02. Click here to check the list of Non Reported or cancelled admission candidates in Round-01. 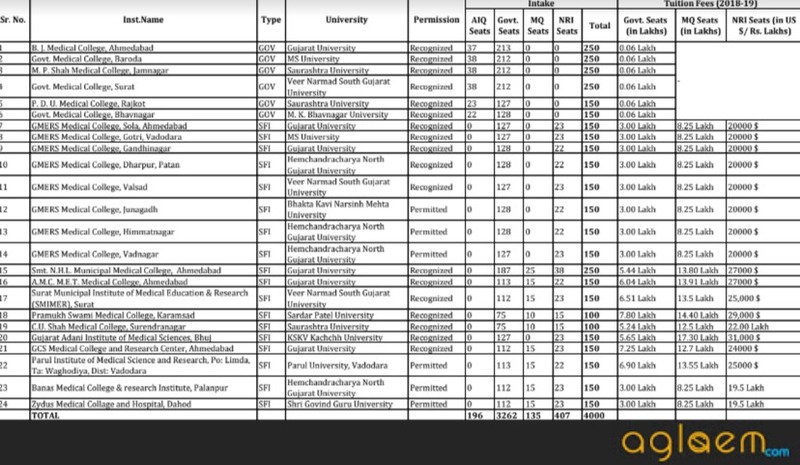 Click Here to check the List of disqualified candidates due to the absence in verification of domicile certificate, Phase -I.
Click Here to check the List of the students, whose ‘Domicile Certificate’ rejected by ‘Domicile Certificate Verification Committee’, Phase – I.
Click Here to check the First round non reported candidate list. Click Here to check the First round non reported Seats Summary. Click here to check the Mock round result. Click here to check the list of candidates selected for Smt. NHL Municipal Medical College Ahmedabad (Local Quota). Click here to check the list of candidates selected for Surat Municipal Medical College, Surat (Local Quota). Click Here to check the Instructions for Submission of Original Documents after Allotment of Admission. Click Here to check the letter of H&FW regarding not considering Domicile Certificate for OCI Candidates. Click Here to check the list of OCI Candidates for not considering Domicile Certificate. Click Here to check the designated branches of Axis Bank for Payment of Tuition Fees. Click Here to check the Authority Letter for original documents submission. Click here to check the Vacant Seat For BDS Mop-Up Round as on September 05, 2018. Click here to check the Vacant Seat For BDS Mop-Up Round as on September 4, 2018. Click here to check the Vacant Seat For BDS Mop-Up Round as on September 1, 2018. Click here to check the Vacant Seat For BDS Mop-Up Round. Click here to check Tentative Vacant Seat For BDS Mop-Up Round. Click here to check Vacancy and Last Merit Report for (ACPUGMEC) updated on Aug 19, 2018. Click here to check the Provisional Vacant Seats For Mop-UP Round (ACPUGMEC) updated on Aug 19, 2018. Click here to check Provisional Vacant Seats For Mop-UP Round. 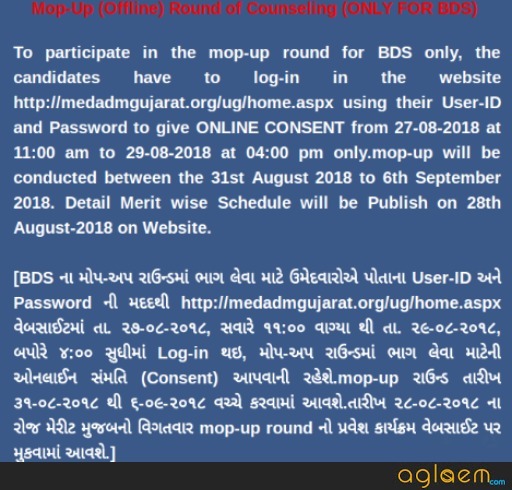 To participate in the 3rd Round Online (BDS, BAMS, BHMS, BNAY) the candidates have logged in in the website http://medadmgujarat.org/ug/home.aspx using their User-ID and Password to give online consent and fill choices from 22-08-2018 at 10:00 am to 25-08-2018 at 12:00 noon only. To participate in the mop-up round, the candidates have to log-in in the website http://medadmgujarat.org/ug/home.aspx using their User-ID and Password to give ONLINE CONSENT from 13-08-2018 at 11:00 am to 16-08-2018 at 01:00 pm only. If you will get admission in the second round, then your first round admission will be cancelled automatically and you have to go to help centre with allotment letter to confirm your second round admission. If you will not confirm your second round admission at help centre, then your second round admission will also be cancelled. Online choice filling for 2nd round of counseling (Course: MBBS only) will be started from 06/08/2018. To participate in the 2nd round of Online Counseling process, the candidate has to give ONLINE CONSENT by login using his Login ID on the website http://www.medadmgujarat.org/ug/home.aspx during the specified time limit and click on Consent / Re-Print Consent Menu. IN SECOND ROUND OF COUNSELING, THE ACPUGMEC SHALL ALLOT THE ADMISISON ON MBBS SEATS ONLY. SO, ALL THE STUDENTS ARE HERE BY INFORMED THAT WHO WANT TO TAKE ADMISISON IN MBBS, THEN ONLY TAKE PART IN SECOND ROUND OF COUNSELING. THE ADMISSION IN BDS, BAMS, BHMS AND BNAY WILL BE CARRIED OUT AFTER 25/08/2018 BY ACPUGMEC. 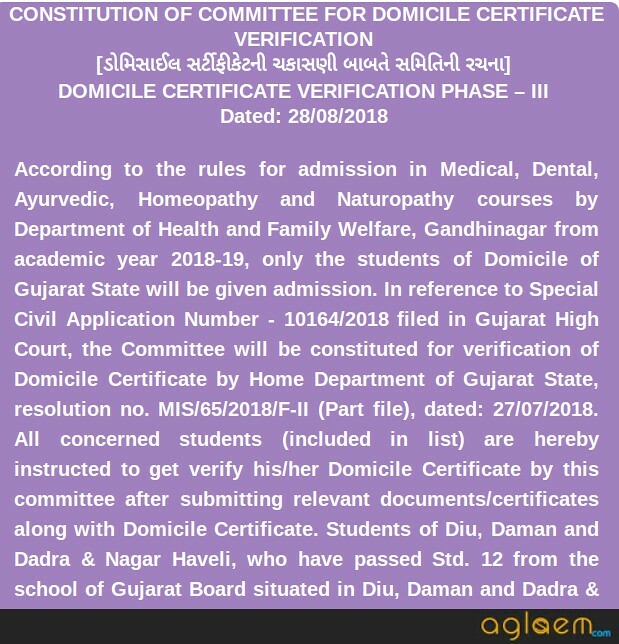 The candidates are informed that if the “Domicile Certificate” of one’s application is found incorrect then the admission will stand cancelled automatically by the ACPUGMEC, Gandhinagar and further action will be taken as per rule. Click here to check notice regarding offline mop-up round for counselling for BDS programme. Click Here to check notice regarding the procedure for admission cancellation. The counseling for admission to all Professional Medical Course, i.e, MBBS, shall be made by a centralized single window state common counseling by the admission committee. There shall be only two round of counseling, each to be conducted by the Admission Committee. The Manual Counselling for allotment of students shall be conducted by the Admission Committee, in case if the seat remains vacant after two rounds of Gujarat MBBS Counselling. The admission will be done on the basis of the merit list. Click here to check the Third Round Non-Reported and Cancel Candidate. Click here to check B.A.M.S and B.H.M.S Vacancy Due to 3RD Round Non-Reported. Click Here to check the notice for 2nd round counselling for MBBS only. Click here to check Mop-Up (Offline) Round of Counseling (ONLY FOR MBBS) – Schedule. Click Here to check List of Candidates Need to Reporting in Second Round At Help Center. Click Here to check List of Candidates Needs to Pay Tuition Fees in Second Round. Click Here to check Instructions for Mop-Up (Offline) Round of Counselling (Only for MBBS). Click Here to fill choices. Click Here to check guidelines for choice filling. The candidates who will be eligible for counseling will be required to fill in the choice of course or college or institution online at medguj.nic.in. Enter the details to log in to your account such as Course Name, User ID, Password and submit the details. In the next window, candidates have to give as many of their preference from the list of Institutions or Colleges and save them. If the candidate is satisfied with the choice done, click on “Lock Choices”, or otherwise click on “Modify Options” button to change the made choices. After submitting the choices, candidates may take print out of the filled choices and keep it to themselves for future reference. The allotment of seats shall be done on the basis of the merit, category, and availability of seats. The seat allotment result will be available at the Admission Committee website. The candidates who will be allotted a seat shall have to pay the tuition fee of the allotted college to confirm their admission. In case, the candidate fails to submit the requisite tuition fee in the specified schedule, their admission shall stand canceled. The candidates need to bring along the required documents in original and photocopy of each and submit it to the Admission Committee. The candidates need to produce the same certificates as submitted along with the registration form. For MBBS, the merit list is prepared on the basis of All India Overall rank of the candidates who are eligible in NEET 2018. The Admission Committee has also prepared a separate list of minority students. The merit list has been uploaded to the ACPMEC website. 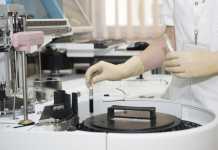 Click here to check Third Round (Online) – Last Merit Medical. Click here to check Third Round (Online) Alloted List 2018-19. Click Here to check the Provisional Merit list for General as on July 04, 2018. Click Here to check the Provisional Merit list for SEBC as on July 04, 2018. Click Here to check the Provisional Merit list for ST as on July 04, 2018. Click Here to check the Provisional Merit list for SC as on July 04, 2018. Click Here to check the Provisional Merit list for NRI as on July 01, 2018. Click Here to check the Provisional Merit list for PH as on July 03, 2018. Click Here to check the not eligible candidate list with reason as on July 04, 2018. Click Here to check the Disqualified due to PH diability more than permitted. The first merit list shall include the candidates who have passed the qualifying examination from the Gujarat Board. The second merit list will consist of the list of candidates who have qualified the qualifying examination from CBSE, New Delhi. The third merit list will consist of the merit list of the candidates who have qualified CISCE, New Delhi. A separate merit list for the reserve category for each will also be published. The candidates with higher marks on the mark sheet will be ranked higher. If the tie is not resolved, the candidate with higher marks in Biology (theory) in qualifying examination will be ranked higher in the merit. If the tie still exists, the candidate with higher marks in Chemistry followed by Physics and English in the qualifying examination will be ranked higher. After applying the above-mentioned methods, if the tie is still not resolved, the candidates with higher marks in Class 10th will be placed higher. Lastly, to break the tie, the date of birth of the candidate will be considered in case the tie is still not resolved. The candidate older in age will be given preference over the younger candidate. The Admission Committee issue the details on the Registration Form, courses offered, list of help centers, last date of submitting the registration and other details in the prominent newspapers daily. For Gujarat MBBS 2018 Registration, candidates shall be required to make payment of the requisite amount of the Registration Fee, Information Booklet with the PIN. Aspirants who will obtain the PIN can register online at, medguj.nic.in. Fill in the required details in the Registration Form by providing their Personal Details, Educational Qualification Details, Communication Details, etc in the online registration form. After the submitting the registration form, the candidates will receive a receipt or confirmation of the application received. In the receipt, the applicant shall be given Registration Number and date of the application. Candidates must preserve the receipt as it can be used as a reference in the future and also in the merit list. Click here to check Remarks/ Query of ST quota. Click here to check Remarks/ Query of SC quota. Click here to check Remarks/ Query of SEBC. Non-Creamy Layer Certificate (NCL) of the family of the candidates belonging to SEBC candidates. Certificate of Physical Disability for physically disabled candidates. Certificate of the local candidate from the Dean of NHLMMC, Ahmedabad or Surat. Should have completed 17 years of age on December 31 of the Academic Year. CBSE/ CISCE provided that the school in which the applicants’ studies is in the state of Gujarat. The NRI candidates should have passed the qualifying examination from anywhere in Physics, Chemistry, and Biology. Should have qualified in NEET 2018. The candidates must obtain 50th Percentile in NEET for admission to MBBS in the government seats. 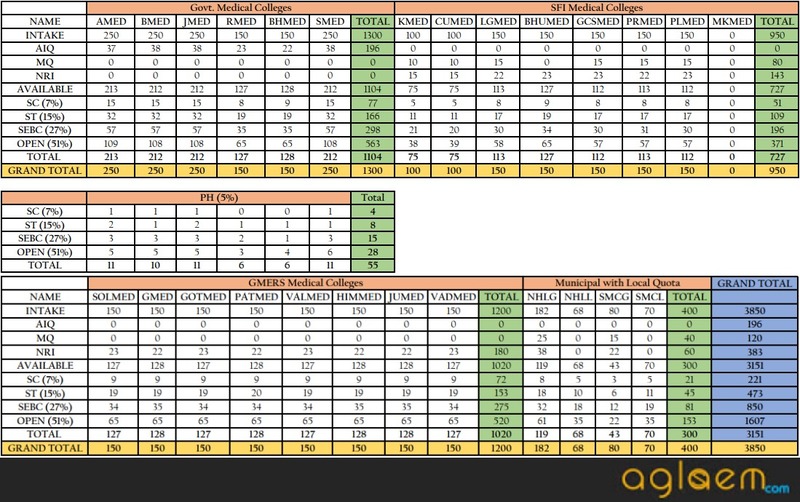 For Management and NRI seats, the NEET percentile as laid down by the Government of India. What after the Counselling is done? After the counseling process is done, the candidates need to produce the Certificate of Physical Fitness at the time of counseling. The Certificate of Physical Fitness in the prescribed form shall be obtained from a registered medical practitioner along with the undertaking. The candidate shall need to submit the certificate to the Dean/ principal of the allotted college at the time of joining. For more detail Gujarat MBBS Admission 2018 Download Online Admission process. After doccument submission at help center when we have to report to allotes collage.